Today was our first day hiking through one of Madagascar’s deciduous forests: Isalo National Park, a beautiful hilly area in the eastern part of the island. The deciduous forests differ from the rainforests in that they see little rain outside the spring cyclone season. It’s winter now in Madagascar, and many deciduous trees and bushes have already lost their leaves. 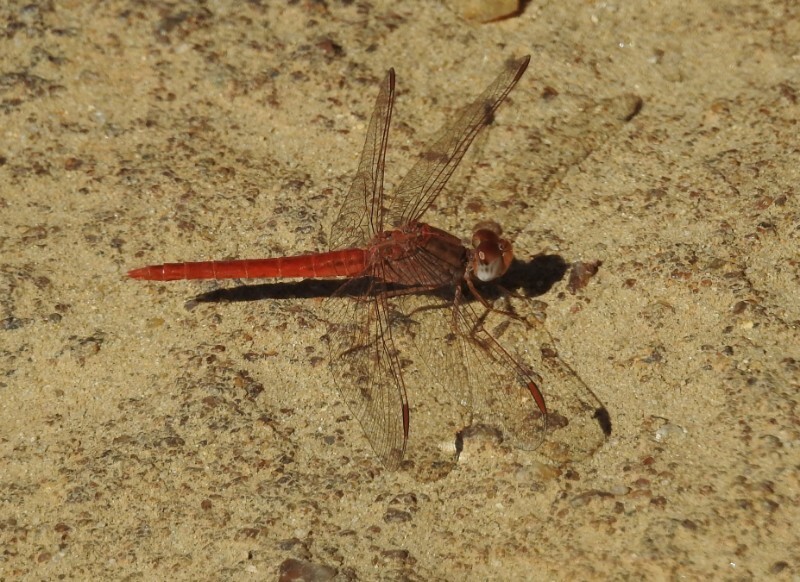 That makes it easier to spot small wildlife like this drop-wing dragonfly, so named because the wings are positioned at a slant.